The Cs had plenty to play for on Tuesday night in their fourth matchup against the Cleveland Cavaliers of the season. The Celtics headed to Quicken Loans Arena, where they were the favorite to win. With a win, the Cs would clinch their fifth straight postseason appearance and their 11th in 12 years. But, they would have to do this without their All-Star point guard Kyrie Irving. Irving has only played in one of the four games against the team that drafted him this season, and that was the series opener at the TD Garden. 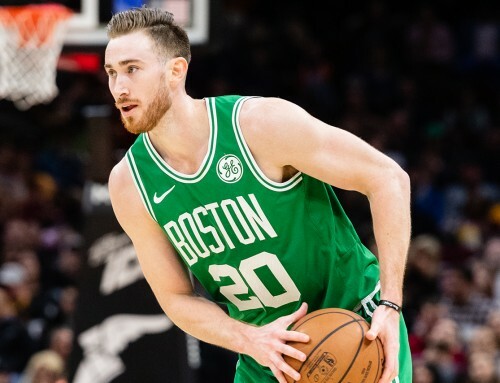 Prior to the game, Gordon Hayward talked about the importance of coming together as a team and what to focus on in the final eight-game stretch of the season. 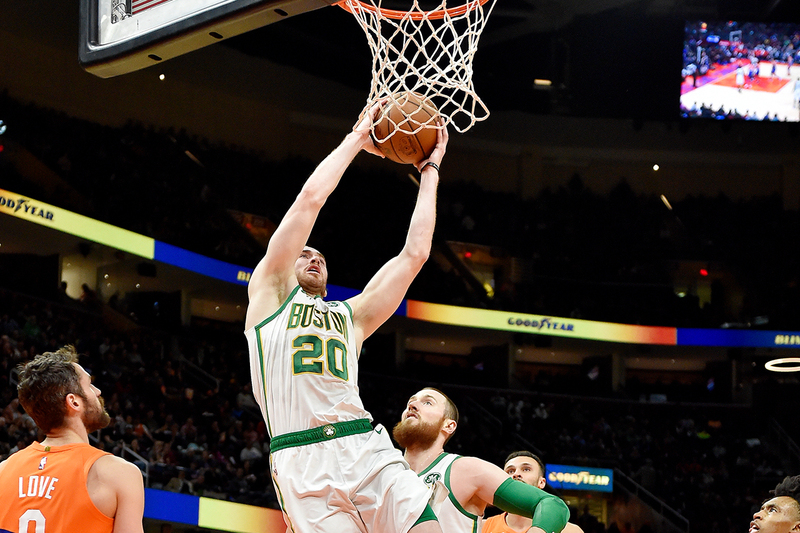 The Celtics kept the Cavs right where they wanted them all game-long, managing to outscore them in all four quarters and hold them to 106 points. Cleveland scored the game’s first four points of the game before the Cs flipped the switch and began to control the game. 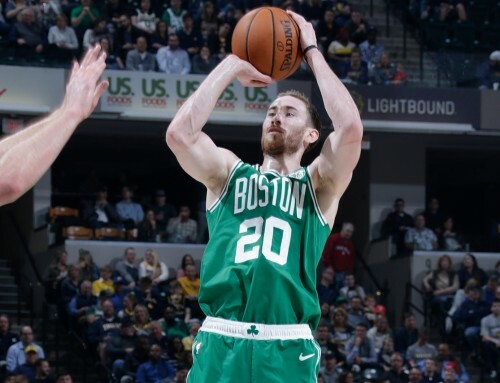 At the end of the first quarter, Hayward drained a 16-foot jumper to give the Celtics a 32-27 lead heading into the second period. 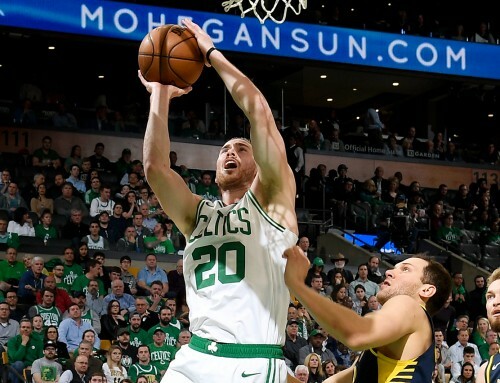 The 16-footer was the first of Hayward 15 points throughout the night that helped the Cs win and ultimately secure Boston’s place in yet another postseason. To begin the second quarter, Hayward responded to a Marquese Chriss dunk with a 21-foot step back jumpshot. On the ensuing possession, the Cavs’ Jordan Clarkson made a two-point shot decreasing the Cs lead to three. But Hayward again had an answer, scoring another two points to keep Boston in front. With three minutes to go in the second, Hayward entered for guard Jaylen Brown. Upon entering Tatum made a 27-foot three-point shot. The next Cs basket came from Gordon on a dunk, with the assist by Tatum. Boston closed out the half up 57-51. One of the facets of Boston’s game that Hayward expressed the importance of is getting back to the other end of the court on defense. The third quarter went back and forth with both teams trading buckets. Marcus Smart led scoring for the Cs in the third quarter with eight points and carried the game into the final quarter with his team ahead 88-81. The combined effort of Hayward and Smart in the fourth helped bring the victory back to Boston. 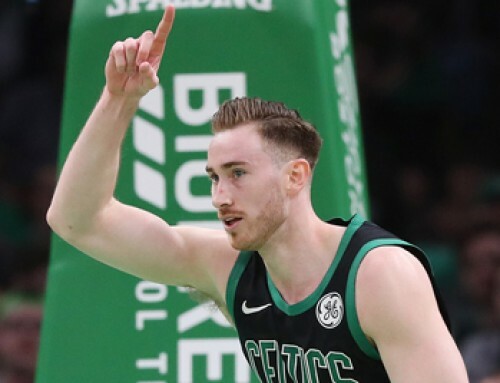 Hayward struck two minutes into the quarter on an 11-footer and again a couple of minutes later with another two points. 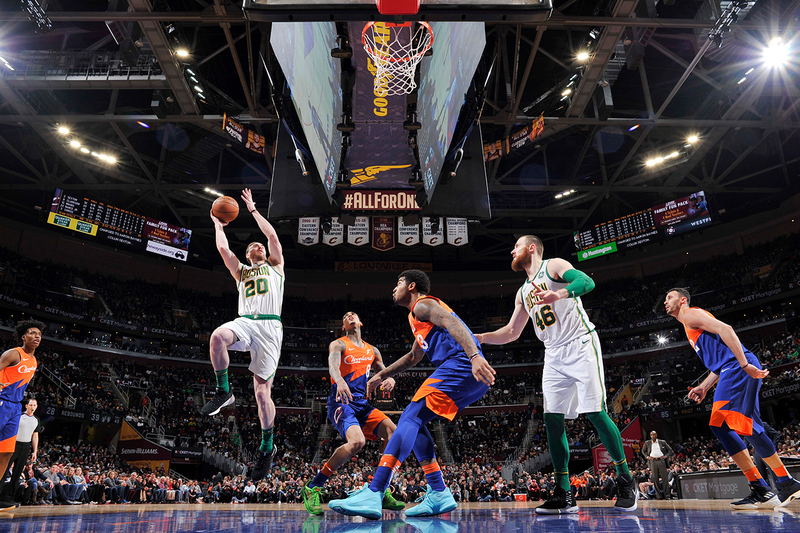 Hayward’s second shot came at a crucial point, giving them a 96-92 lead as the Cavs battled to stay in it. The game remained close for the next few minutes. Smart and Al Horford combined for Boston’s next 15 points before Hayward could put the cherry on top with a driving dunk. 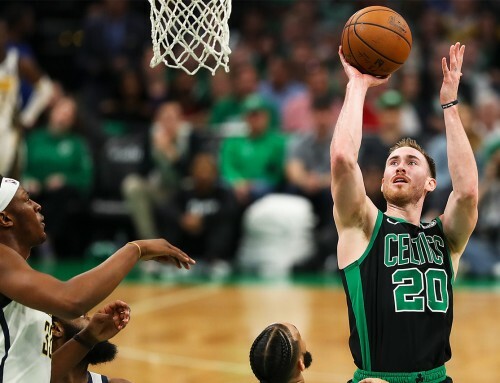 Hayward’s dunk added the Cs final points with under one minute left and secured the Celtics’ playoff-clinching win on the road. Now with seven games left in the regular season, the Celtics will stay home to host the Indiana Pacers this Friday at the TD Garden. The game will begin at 7 p.m. ET and can be found on NBATV.